As crucial as fire protection is for every office, few business owners spare much time to think about taking active measures to improve it. Why think about what could go wrong, when you’d like to focus on all the things that could go right? The truth is that fire can happen anywhere, and a great percentage of fire-related deaths occur in commercial buildings. Here are a handful of ways to make sure your office is protected against the flame. The surest way to prevent a fire in your office is to remove any fire hazards that may already be present. Most business owners wouldn’t even dream that there might be a fire hazard already present in their building, but there are more than likely a few. Additionally, the older a building is, the more likely it is to experience a fire-related incident: this is generally due to wear-and-tear on electrical systems, leading to fraying of wires and other electrical hazards. Deal with these issues, and you will be less likely to experience a fire any time soon. Commercial installations have been designed for optimal fire protection and have been perfected over the years. Smoke detectors and fire sprinklers are some of the best defenses a building owner can have against a blaze, and firefighters everywhere suggest that people make the investment. Recently, advances have been made in furthering fire protection – with the outbreaks of wildfires across the world, an exterior fire sprinkler was developed to protect roofs and other danger spots that firefighters have a tough time reaching. 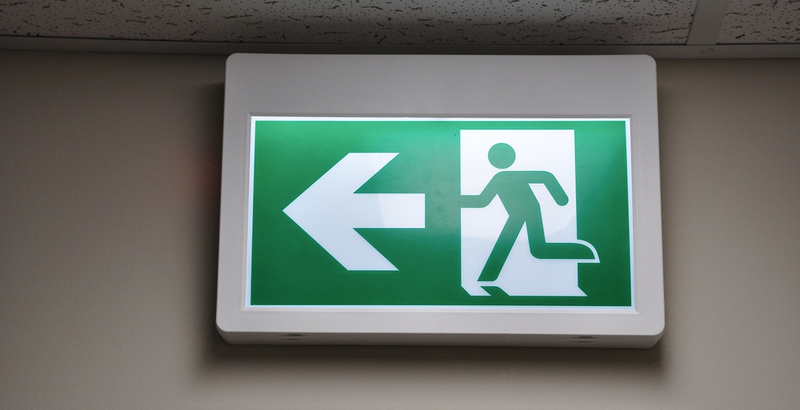 While removing fire hazards from your building and installing fire prevention equipment is all well and good, there’s an important step to at-workplace fire safety that many people neglect: the evacuation plan. Most people don’t like the thought of having to leave their belongings to burn, but when a blaze goes big, the most common cause of death is folks not leaving the building soon enough. Develop a plan for each room of your building – if you were caught in that room when a blaze starts, how will you escape? Are there safe and quick options for escape in every room? Where will you escape to? Pick a point a decent distance from the main entrance to set as a gathering point, and make sure that all residents of your building know where the spot is – this way you can do a headcount to make sure everyone got out of the building safely. While fire protection techniques will help reduce the likelihood of a fire in your commercial facility, there is always a chance that you may become trapped in a burning building, whether it’s your own home or workplace. Remember to never go back inside once you’ve escaped, no matter the reason. Don’t try and bring personal items with you, as you can easily get caught up in the process and get trapped by the blaze. Of course, remember that, if you catch on fire, “stop, drop, cover, and roll” are the steps to take.